In this free, public, interactive workshop you will see how the Montessori method builds children's independence, self-esteem and problem-solving skills. 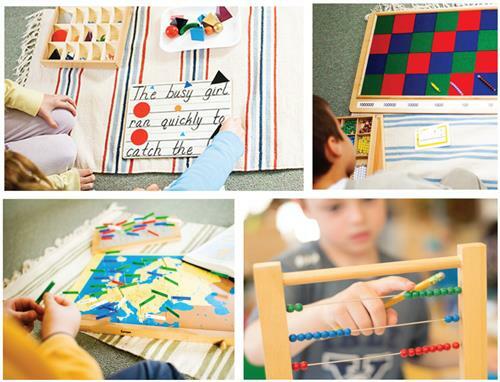 Discover how Montessori uses hands-on materials to enhance children’s understanding and create a love of learning that lasts a lifetime. Dinner and childcare will be offered for $15 per family. Dinner will be 5:30-6:00pm; Free workshop will be 6:00-7:30pm.